We told you about the Volkswagen's latest creation the I.D. Roomzz which is an electric SUV showcased at the 2019 Shanghai show. And now there's more news from the group. 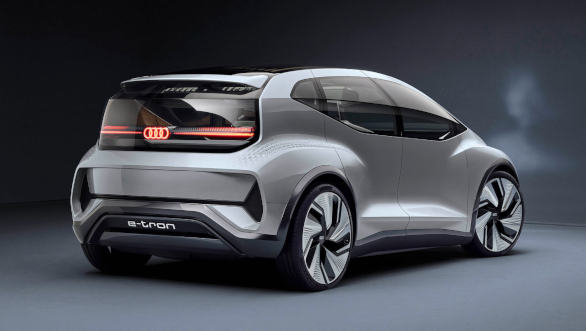 Joining VW, is Audi who have brought the AI:ME electric hatchback that has been built on the newly developed MEB platform. As described by Audi, the AI:ME offers a broad range of high-tech features for communication, entertainment, or simply relaxation. More importantly, the electric hatchback comes with the ability to drive autonomously at level 4. The Audi AI:ME has a length of 4.30 meters and a width of 1,90 meters. The wheelbase measures 2.77 meters while the height stands at 1.52 meters. 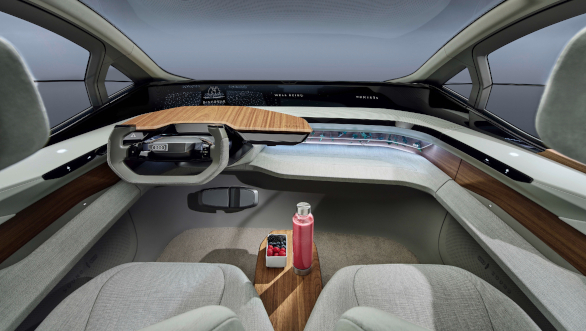 Audi mentions that the interior dimensions are more likely to be found in the next higher class at least. This is made possible by the architecture of the electric drive. It allows for short overhangs and a large-volume interior without a propeller shaft tunnel. The drive unit is positioned on the rear axle which produces 125kW (170PS) and is powered by with a storage capacity of 65 kilowatt hours. 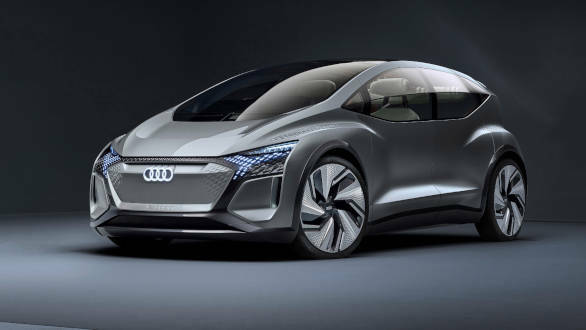 The Audi AI:ME is designed as a 2 plus-x-seater primarily. Its layout relies on a variety of configurations for seat positions and stowage space. While only the individual seats at the front will be used during most journeys, the car offers space for up to four people in the front and on the rear bench. At Level 4, this is the second-highest level on a standardized international scale for increasing automation. Although systems with level 4 do not require any assistance on the part of the driver, their function is limited to a specific area - such as highways or a specially equipped area in inner cities. In these places, the driver can completely transfer the task of driving to the system. The driver needs to resume the task only when the car leaves the area defined for fully automated driving. By contrast to the Audi AIcon, a vehicle with level-5 function that is always fully autonomous, the Audi AI:ME is therefore equipped with the traditional steering wheel and pedals.